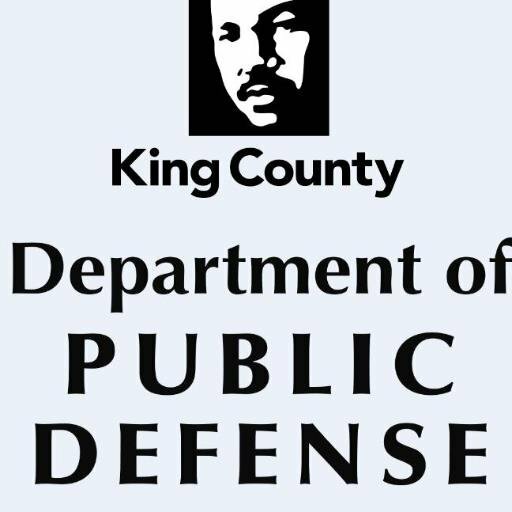 A Seattle Municipal Court (SMC) policy permitting a judge to hold certain defendants in jail more than one business day before a preliminary appearance was struck down yesterday in a significant win for criminal defendants. Nick Gross (left) and Mark Middaugh, public defenders at the King County Department of Public Defense, successfully took on SMC’s policy of permitting a judge to hold certain defendants more than one business day. Division 1 of the State Court of Appeals ruled in Khandelwal vs. SMC that SMC judges must hold preliminary appearances on warrantless arrests no later than close of business the next court day, even when the defendant has filed a notice of disqualification against the sitting judge. A preliminary appearance is when an in-custody defendant gets a lawyer and has the opportunity to ask for release. By statute, every defendant is entitled to disqualify a judge once per case. The appellate decision declares illegal SMC’s policy of permitting a judge to hold a defendant in jail more than one business day before a preliminary appearance in those instances when the judge is disqualified. It also affirms the state’s robust first appearance rule, making it clear that the rule is mandatory, not simply a guideline, as SMC had argued. The ruling was issued unanimously by a three-judge panel in a published opinion. Oral arguments were on Nov. 2. The issue surfaced in 2017, when public defenders representing clients on the in-custody arraignment calendar filed affidavits of prejudice – or notices of disqualification – against the sitting judge and were told the defendants’ first appearance would have to be set over a day because no other judge was available. SMC followed up with a policy, saying the rules governing first appearances were not mandatory and that “practical administrative limitations” would also govern the process. In December 2017, after several of DPD’s clients spent additional nights in jail because of SMC’s policy, DPD filed a writ of review, and in January 2018, Superior Court Judge Dean Lum granted that writ, noting that SMC’s policy violated the unambiguous language of CrRLJ 3.2.1. That rule requires a person held in jail after a warrantless arrest to be brought before a judge “the next court day” following arrest. The SMC judges appealed Judge Lum’s decision. In yesterday’s decision, the appellate court affirmed his decision to issue a writ. Like Judge Lum, the Court of Appeals took issue with SMC’s contention that CrRLJ 3.2.1’s “next court day” requirement was a guideline, not a mandatory rule. “There is nothing ambiguous about CrRLJ 3.2.1’s requirement that the preliminary appearance hearing must occur no later than the close of business of the next court day after a warrantless arrest,” the opinion said. The appellate court also found that an affidavit of prejudice “is not an extraordinary circumstance justifying a blanket policy” to delay first appearance hearings. Citing cases from other jurisdictions, the court noted that a natural disaster like Hurricane Katrina constituted a bona fide emergency justifying delay – not an affidavit of prejudice. Mark Middaugh and Nick Gross, the two public defenders who argued the case, said the win is significant. “We weren’t asking for special treatment for our clients. The rule is clear and unambiguous, and we wanted the judges to follow it,” Mark Middaugh said. December 4, 2018 in DPD News. Enter your email to subscribe to Public Defense and get notifications of new posts by email.